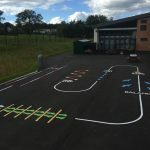 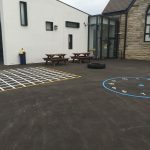 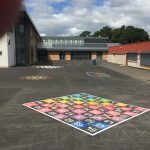 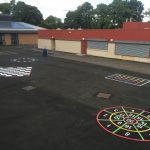 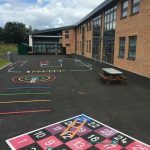 Following consultation with the Contractor, School and Pupils a number of different schemes were chosen for various Primary Schools in South Lanarkshire. 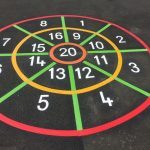 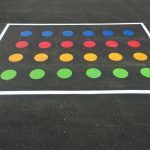 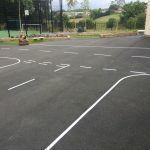 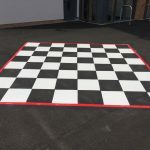 The schemes were selected from the wide range of thermoplastic markings provided by Thermmark. 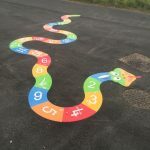 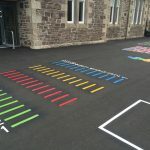 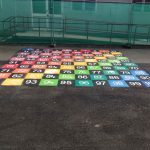 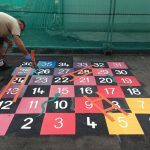 We then applied a variety of Hopscotch, Chessboards, Snakes & Ladders, Number Grids, Cycling Proficiency T-Junction, Activity Markings etc. 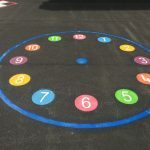 The brightly coloured schemes certainly brightened up the macadam playgrounds and were soon being put to good use by the school children.